Until the Student Union Building was completed in 1968, the only place that students could congregate on Dalhousie's Studley Campus was Roy Atwood's gym store. 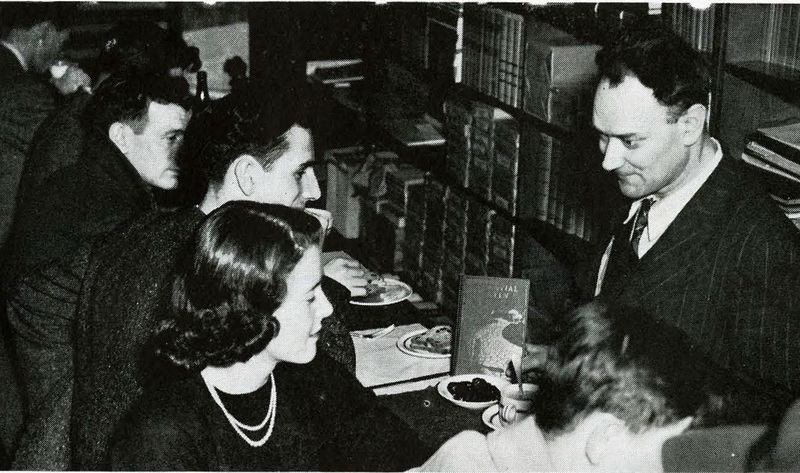 Atwood was hired to operate Dalhousie's first book store and "tuck-shop" in 1930. 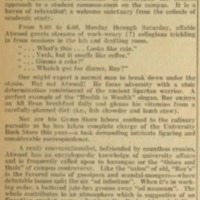 It was located in the gym, but moved to the basement of the arts building in 1931 when the gym burned down. 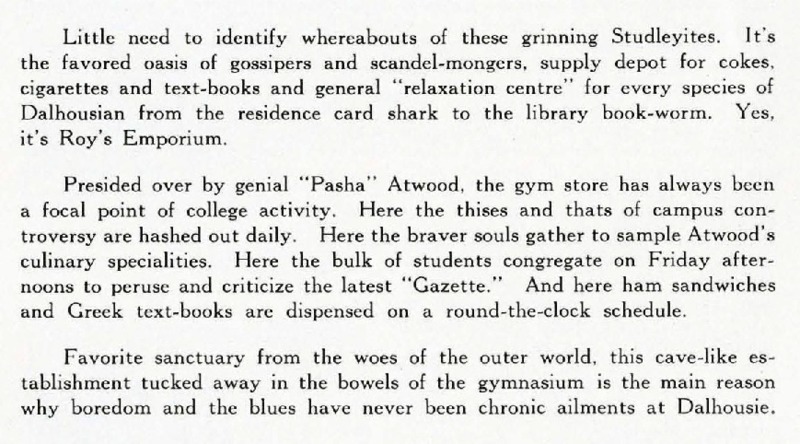 In 1933, the canteen moved to the new Studley gym and in the 1940's, Atwood took over a common room in Howe Hall. 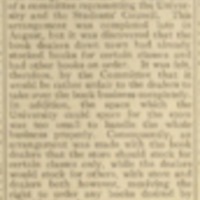 In 1944, the book store business was sold to Atwood. Atwood's store was a place where students could gather to relax, buy school books, gossip, or just have a sandwich. 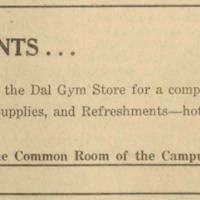 Although the store was small and rundown, it was like a common room for Dalhousie students. Roy Atwood operated the canteen and bookstore for 34 years, until it was taken over by Vendomatic, Ltd. in 1964. 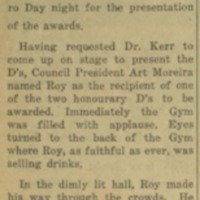 In 1950 he was awarded with an honorary gold D in recognition of all his years of service. 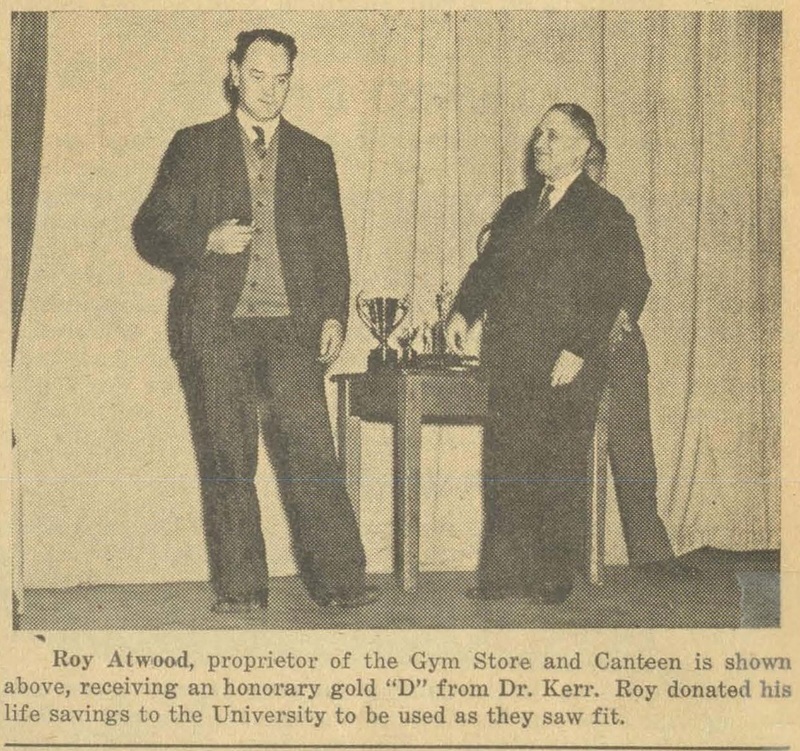 That same year, Atwood donated a sum of money to Dalhousie that he had saved over 20 years, which was used to buy 200 chairs for the gym. Atwood receives honorary gold "D"